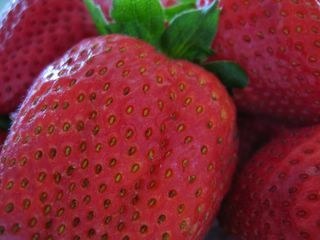 Welcome Strawberries! "Here's looking at you kid" - one of the best movie lines! Welcome Strawberries, please write I'm sure I'll like it already..
karibu, ones you start tis gon be hard stopping, cant wait....cheers! Hey thats a start especially if you remain true to your word 'bearing it all' you can be sure we are keeping it here and not even moving and sure life is beautiful. This family of friends is growing and you are welcome, some of us were the newbies but now you are. We won't bully you much. @BJ thank you Life is Beautiful hard to see the beauty in it though sometime. welcome in...i wouldnt believe milo if i were you...he's a loonie bin inmate as well...but dont worry, once they've had their meds, they are the nicest bunch ever!! LOL @ Milo. Strawberries, don't worry sweetheart, I'll make sure the chief loonie (Milo) doesn't bother you. I am a good loonie. hey, welcome and hope that you start posting your thoughts soon, KBW always has room for one more. now the fact that u dont know what to blog means you are so RIPE(pun intended) for bloggin...the stage is yours S.Berry..can i call u that? Beautiful people thanks for that warm warm welcome. @Milo i'll be sure to be on all toes. Too late now on if am a chic. @Kipepeo thanks meds have being known to stablize peeps. @Whis- thanks for clarifying that honey. @Spice-bear my first post is on the way. @Couch tato, men that 24 show is off the hinges and yes S.berries is ok thanks. LOL - welcome to the fold *not too tight Milo* we sure look forward to hearing all about you.. Guess I thought you'd never visit hey I was your first anon way back when. Thanks for stopping by. sasa ladies its never too late thanks for the welcome. @cute-angel its too late am already addicted help.